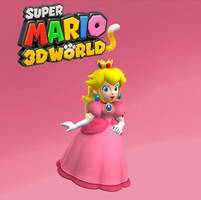 Here is Princess Peach from the Mario Party 3 cover art, reproduced in 4K using our +NUS 3D model. 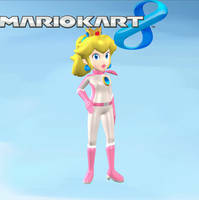 Princess Peach Toadstool is the intellectual property of and © Nintendo Co., Ltd.
Graphics developed by the Vinfreild Group. 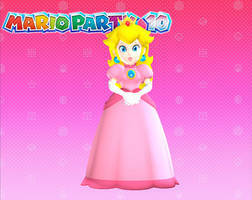 Development notes: We recreated the bone structure and mesh of Peach's hands to make this render. 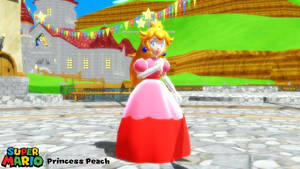 Previously, each of peach's fingers only had two bones which limited her articulation. This has been corrected and each finger (including the thumb) now sports 3 bend points. 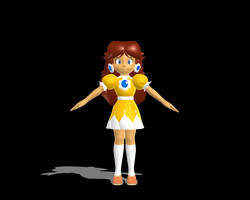 We also recreated the shaders for Peach's jewels, implemented a new lightning scheme and resized her eyes. 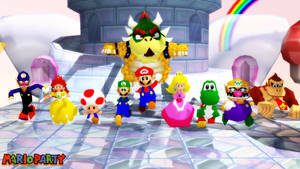 You guys should do this for Waluigi's Mario Tennis 64 renders! Look at that rosy shading!